Nadine Lustre might have been through a difficult time just recently after her young brother passed away but it did not keep her and her family from moving forward. 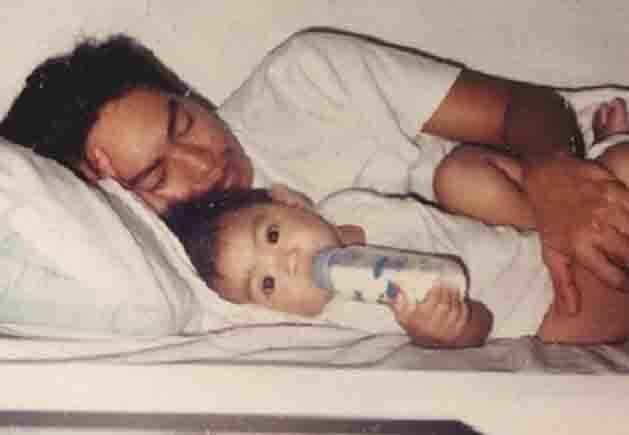 Nadine who just got back from her US concert tour with boyfriend James Reid and currently has several movie projects lined up recently shared a throwback baby photo of her with her dad just days after Father’s Day. The adorable photo shows Nadine lying beside her dad who was wrapping his arm around her. Aside from her late brother Isaiah, Nadine has a younger sister named Naomi.